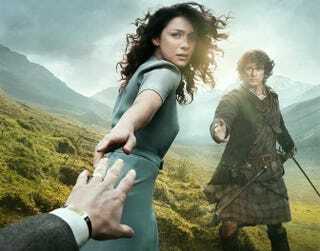 Get a better look at Ron D. Moore's TV adaptation of Outlander, the time travel novel that sends a World War 2 nurse back to 18th century Scotland. There she discovers more gorgeous British men in kilts. Behold!